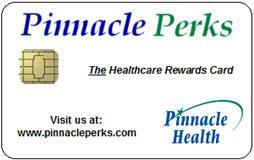 Pinnacle Perks is a program designed to improve the quality of your healthcare using smart-card technology. You are eligible to join through your participating employer / organization, and your membership is free. As a member of Pinnacle Perks, you will receive a highly secure, password-protected smart card. 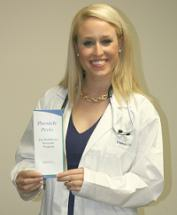 The card contains your personal health record that you present to participating providers at each office visit. To learn more, please view our "Informational Video" here. 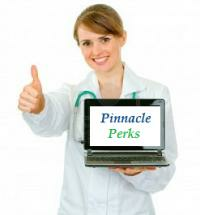 In addition to increasing quality of care, Pinnacle Perks rewards you for smart decisions! 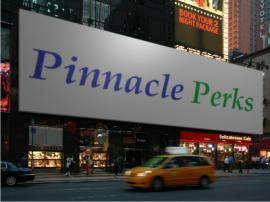 Each time you see a Pinnacle Perks Participating Provider for an appointment, simply present your Pinnacle Perks card. With each visit, your points will accumulate and can then be redeemed for valuable rewards on this website. You may also purchase items for which you do not have enough earned points. Thank you for being a Pinnacle Perks member.